Can I keep other aquatic life with my ACF? Can I keep other aquatic life with my ADF? Information on setting up an aquatic frog tank the natural way! 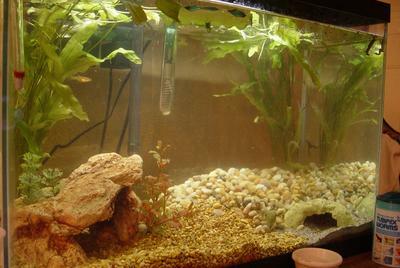 Setting up a natural tank can be done using real or fake plants and all sizes of gravel and sand. The only *true* rules to setting up a natural tank involves the only use of the colors brown and green (and all their shades and hues). The look you are going for is a natural tank (sorry, no hot pink gravel and pearly plastic plants). A basic set up would involve a natural colored gravel that is undyed. Natural gravel can be anywhere from a pale tan-almost white to a dark brown-almost black. (Sand varies from pale to dark as well). If using plastic plants then make sure they are only shades of green (unless you get a fake red ludwiga, then you may use one of these for some diffrent colors). Decorations would involve natural rocks and wood (bogwood or driftwood). These can be arranged to make caves and hiding spots for the frogs. They need places they can get under and behind to feel secure. If using rocks make sure they are a solid and undyed color, usually in the grey to brown range. Also make sure all the surface areas of the rock are smooth to the touch. Rough edges on rocks can scrach the frogs' skin and can tear the webbing on their feet. DO NOT use corals (real or fake) or anything to that texture. I strongly suggest using a backdrop for the back of the aquarium. Try and find something that matches the interior of the tank. And remember, only green and brown still apply to the backdrop rules as well. Look for a natural backdrop with lots of plants and wood in the picture. You may need to cover three sides of the tank for extra skittish frogs. 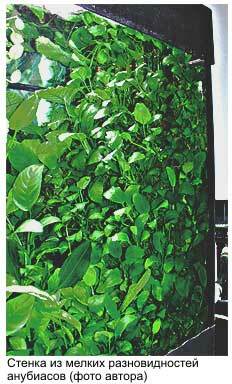 You can use real plants in a natural aquairum as well. But do keep in mind just about all the live plants you can buy from a petstore will be destroyed by adult African Clawed Frogs. They have destructive natures towards plants and will tear them up. 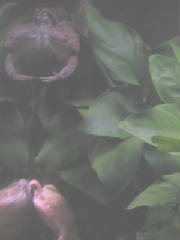 African Dwarf Frogs will not bother any live plant at all, so all types can be used with them. When keeping African Clawed Frogs I suggest using large and show sized Anubias species that will stand up to their aggressive nature in the aquarium. 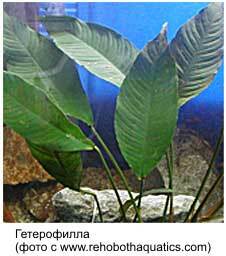 Also, two types of common house plants can live submerged underwater, Pothos and Philidendrum. These plants grow into long vines and can be used to cover the back of an aquarium if draped down into the water. They will still grow submerged but can also rot quickly. You must remove any part of the plant that appears to be dying. Information and Pictures on setting up a Beautiful Natural Tank. A Biotope tank mimics the natural habitat of the frog in the wild. Down to water quality, plant species and sometimes even the rock and wood must come from that specific environment. Water quality for African frogs (xenopus and hymenochirus) must be at a pH of 7.0-8.0 with a temperture of 70-75 F for Xenopus and 70-75 F for Hymenochirus. 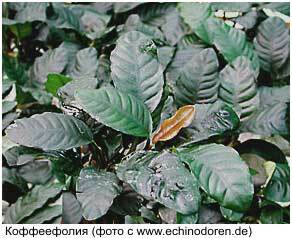 Plant species that are native to the frog's wild habitat are Anubias species. 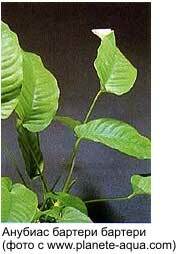 Anubias is an african bog plant that is an easy grower and has no special lighting requirements. They are sometimes nicknamed the "plastic plant that grows". 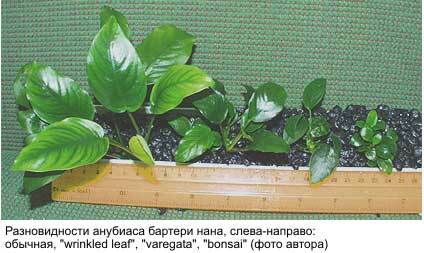 Anubias can also stand up to the destructive nature of Xenopus. 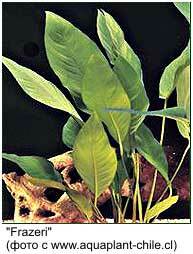 Anubias can be tied to driftwood and rocks and eventually the plant will grow onto the object. Do not bury this plant into the gravel, attach it to a heavy object in the tank such as driftwood. If you must bury this plant, do not bury the rhizome (the part of the plant that the leaves and roots grow out of), only bury the roots. Substrate should be a very fine gravel or sand of natural color. Some rocks are from Africa, such as African Rainbow Rock, which also comes in gravel form. (I have this in both my tanks). Leaving the gravel flat across the tank is very unnatural. Try banking it to one side, or creating little hills and mounds as well as making little dips in the gravel. This will make the tank look a lot more natural. But the frogs will eventually kick everything flat again, so you can change up the "landscape" every few weeks. I suggest using driftwood and bogwood instead of larger rocks as decorations. It is more natural for the frogs and more correct in the environment. Some types of bogwood are collected from African as well, try and use these. I use African driftwood in both my tanks. If you plan on using some rocks as decorations try to find some that are large, round and smooth. Their color should be solid from brown to grey. For backdrops try and find those that are very rocky, or a view from a river bank with rocks and roots from trees. I use these types of backdrops. another possible hybrid, this plant will get quite large as well. Huge tank full of Anubias barteri varieties! The Most Imformative Site on Anubias That I Have Ever Found Online.